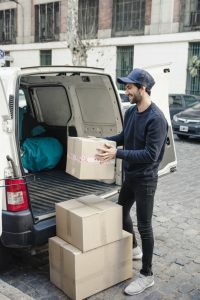 Well, If you are located in London and if you are looking for the best van and man services in London. Then you are in right place. Big Yellow Express is the best reliable and affordable man and van company located in London. Our professionals at the Big Yellow Express are well trained and will be friendly to the customers. When you plan to move office space or the home to the new location in London, Just get in touch with the Big Yellow Professionals to move your things to the new place without any hustle. Our professionals will help you in moving the heavy items and the office things carefully to the new location. Especially when you are doing the office relocation. you need to handle things like computers, important documents, etc. Our experienced professionals will help you to move to the important stuff without damaging any. When it comes to the pricing, we provide competitive prices when compared to the other man and van companies in London. Also, later we won’t charge any amount extra. Based on the volume of things that you have for the move, we will help you to choose the best affordable van for you. We have a wide range of moving vans so that you can choose the best van for you at the affordable price. Your things will be safe and secured throughout the move. Thus for a hassle-free movement choose the Big Yellow Express in London. Call us at 020 3322 8733 or Just drop a mail to enquiries@bigyellowexpress.co.uk, our team will get back to you in a quick time. We are available all 7 days in a week. So as per your need, you can schedule the move at the best suitable time for you.